In this section we have referenced our "Help, I Hate Math" section. You can also use the conversion table below to switch between units of energy (power is a different table). To use the table, start with what unit you are given and find it and go down in the "Existing Unit" column. Then go across horizontally to the "Desired Unit" to the right and find the unit you need to convert it to. The number you reach is your magic conversion number you can use by just multiplying your given "Existing Unit" number by the magic conversion number just found to get units of your "Desired Unit." Here is a BPI sample question on conversions. 1. Find the amount of energy used in BTU's of a 60 watt light bulb which is on for 2 hours. Given 60 watts (units of power, we want energy) and its running for 2 hrs. Now let convert watt-hrs to BTUs. If you first try to convert watts to BTU using the table, you will find there is no unit for just watts in the table! That should tell you that you need to convert it first. Now we can find watt-hrs our table and go across until you hit the BTU column. What is the magic conversion number? It is 3.412. So we just multiply our given energy use (120 watt-hrs) by the magic conversion factor for the answer. Now to get comfortable with this, let's find how many watt-hrs is in 409.44 BTU using our table. 409.44 BTU x 0.293 = 119.966 or rounding up we get 120 watt-hrs, the same answer we started with! Finding the cost to operate a furnace or appliance should always be last, after you have found the energy use. 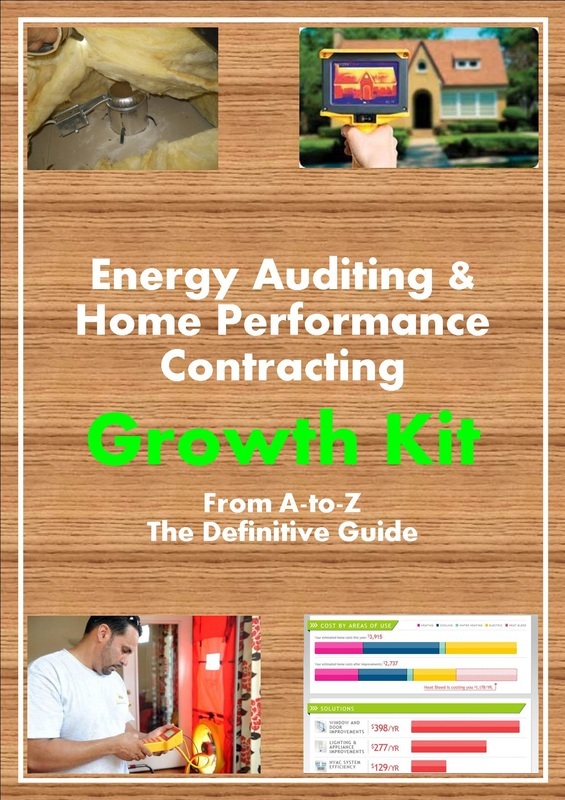 You will be given to utility rate ($0.11 a kWh or $1.20 per therm) and you have to find the energy use. You will be given the power use (BTU/hr or kW) and a time the appliance is running, (5 hrs for 10 days). You just need to multiple the one by the other. You may have to do some conversions here to therms, kWh or CCF to BTUs (our universal language). See the section above about multiplying or dividing by our magic conversion number. Here is a BPI sample question on cost and energy use. 2. Find the electrical use of a furnace using 800 watts of power running 5 hours a day for 12 days. 3. Using information from problem 2 above, how much does it cost to run the furnace if the electrical rate is $0.20 per kWh? energy use = 48,000 watt-hrs, we need to convert watts to kWh by multiplying by 0.001 or dividing by 1000, whatever you prefer. A good rule of thumb to ask yourself, "does this make sense?" If your appliance cost $2,000 and your annual savings is only $300, does it make sense that your payback is less than a year (0.15 if you took the formula flipped)? If not, try flipping your equations around and don't pick the answer on the exam too fast. If you are given a wall, door and window find the total area of the wall, then subtract the area of the window and door out of the total to find the net wall area. 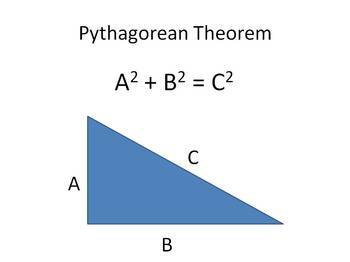 Let's do a sample problem you might see on the BPI exam with area and the Pythagorean theorem. Now, let's find the perimeter of the garage floor plan above. 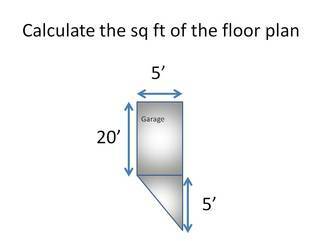 Garage 2 option 2: use the Pythagorean theorem to find the length of the missing side and then add the outer lengths together. U-values are for the total composite of an object such as a window (sash, frame, air space, glass, low-e coating) or entire wall (including frame, felt paper, insulation, drywall). U-values can not be added, but can be multiplied. R-values are for just one component and can be added together. Given the U-value, you find the R-value by by taking 1 over the U-value. Given the R-value, you can find the U-value by taking 1 over the R-value. The HDD is a tool for predicting heating costs. Example: Today's temperature was 10 degrees as a low and 40 degrees as a high. What is the HDD?